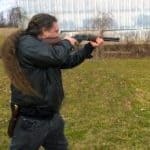 In the world of firearms and ammunition, projectiles are designed to accomplish a certain function. For hunting small to medium game, most projectiles are designed for maximum expansion in order to create the largest wound channel possible, to bleed the animal out quickly for a clean kill. For large and dangerous game, the projectile is usually designed for maximum penetration in order to get through the tough hides and deeply enough to reach the vital organs, as well as maintain their mass in order to penetrate, break, and shatter bones. Handgun ammunition intended for self defense is typically designed for maximum expansion, combined with adequate penetration to be able to pass through clothing layers and still penetrate deeply enough into the body for damaging organs and causing sufficient tissue damage to stop an attacker as quickly as possible. FMJ (full metal jacket) ammunition in the civilian world is typically used at the gun range for fun and practice shooting. FMJ ammunition is also what is typically used on the battlefield, well, technically. I say technically because, although the Hague Convention says that ammunition intended to cause excessive damage is illegal on the battle field, it is still in use, only disguised. 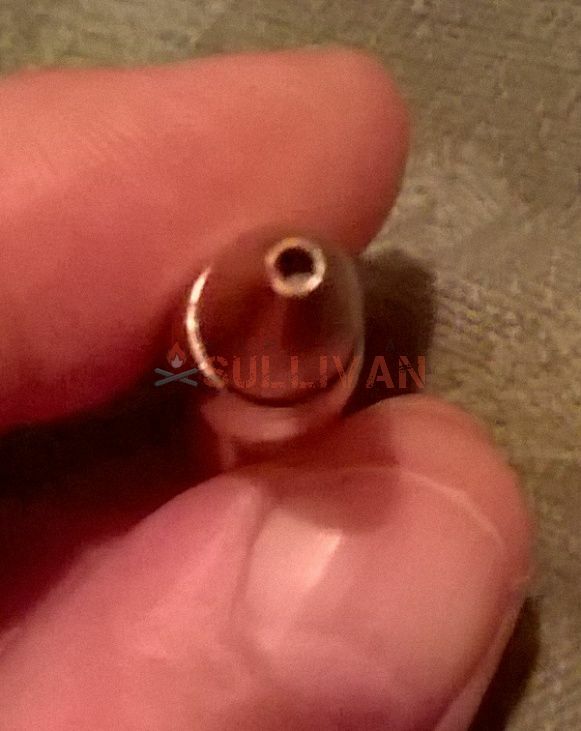 What appears to be standard FMJ ammunition typically has a hollowed tip INSIDE of the jacket. This allows for the deformation of the projectile that then causes the projectile to flip and tumble through its target (the person shot). This action by the projectile creates a far larger wound channel than a projectile that merely passes straight through the body, which is the intention of FMJ ammunition. Here is a video that shows a projectile tumbling through ballistic gel. The hollow inside tip like in the shown round above helps facilitate this tumbling. You also aren’t supposed to shoot an enemy soldier with an explosive or incendiary round, but that happens too. The point here being that, in reality on the battlefield there isn’t anyone there to say “hey, you can’t do that”. To that I say, so what, who cares what you shoot them with, as long as you shoot them. Now, all of this is merely discussion of common types of ammunition. One uncommon type of ammunition that we occasionally see in the civilian world is armor piercing ammunition. In many states AP ammunition for rifles has been deemed illegal for sale, transfer, or manufacture, and even possession is illegal in many states. In my state it isn’t illegal to possess AP ammunition, but it is illegal to sale, transfer, or to manufacture it. Silly, huh? If you can own it, why can’t you make it? Notice the sharp pointed tip on the hardened tungsten AP core of the .308 round to the left. This is a true AP round, unlike the basic steel core pictured below of a 7.62×39 round. This AP round punches 3/4″ mild steel plate like butter, it is designated by a black tip. AP ammunition for handguns is illegal in ALL states in America. The definition of armor piercing ammunition is that it has a core made up of a hard material like steel or tungsten. 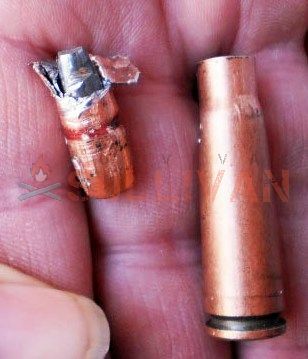 Ironically, many steel core ammunitions are merely made with a mild steel core, and aren’t really armor piercing, like the picture to below of a 7.62×39 cartridge. Notice the flat tip of the steel core. Of course it penetrates better than plain lead core FMJ, but still isn’t really a true AP round. What is particularly silly about that is that there are many rifles that have “pistol” versions, such as the AR15, AR 10, and AK 47, and these firearms utilize the same ammunition as their longer barreled counterparts. So it all just makes no sense and gets confusing. That designates a steel penetrator tip. This is not technically an AP round because the steel is on the tip of the projectile, not in the core, and the percentage of steel contained in the projectile falls under the percentage of steel that makes up the projectile that designates an AP round. More silliness if you ask me. All of the previously pictured projectiles are common battlefield ammunition. Although supposedly they only are using FMJ ammunition, none of that pictured is simply FMJ. Well, let’s look beyond civilized society and suppose that civilization has failed, enemies abound, and you have to do what you have to do in order to survive. At this point in time I would deem it reasonable to say that it would be okay for you to make ammunition that would perform beyond what you can get off of the shelf at your local waldos world of sporting goods stores. So, how would you go about that you ask? There are a few simple tricks that can turn your basic ammunition into a reasonable facsimile of what could be deemed as “armor piercing”. I won’t claim that homemade AP will work as well as real AP ammo does, but it will work significantly better than lead core ammo will. Grind the tip of the nail so that it is VERY sharp and pointy. Harden the nails by heating to glowing cherry red, then quench it in oil (optional, but better). Insert the nail into the hole you drilled, it should fit so that it looks as if it is a continuation of the projectile. Obviously, I cannot show a picture of this because it is illegal for me to manufacture AP ammunition, but it isn’t illegal to write about it. Not in America anyway, and besides, we are talking hypothetically for cases of SHTF/TEOTWAWKI. There won’t really be any laws then. Another method of manufacturing an armor piercing projectile is more difficult, but it also makes a better AP projectile. It also requires a grinder, and reloading supplies. This method requires that you reload the ammunition and that you modify the projectiles before inserting them into the casing. The first thing to do is obtain a steel rod a couple of millimeters smaller than the inside diameter of the projectile jacket. Of course you won’t know this until you empty the lead from the jacket. Lead has a lower melting point than lead so you can heat the projectile and empty the lead from it. Once you have emptied the lead from the projectiles copper jacket, cut a piece of the steel rod the appropriate length to fit. Of course, grind the rod to a sharp point, and then harden it in the appropriate manner. Heat until glowing red, then quench in oil. Insert the new hardened steel core into the jacket, and then cap the bottom off with molten lead. You can just re-use the lead you took out. If you want to make a bunch of these just set up an assembly line. Empty all the casings of their lead, make all of the hardened cores, and then insert them into the projectile jackets. You can make a wooden block with holes drilled in it to hold all of the projectiles so that you can then pour the molten lead into them. When you make this type of projectile, be sure that the steel insert is centered or you will lose accuracy over longer distances due to imbalance of the projectile. At close ranges this is a moot point. You can make AP handgun ammunition in the same way as described above for rifle ammunition. You can do the nail in the hollow point method, or you can do the reload method, it works the same. Keep in mind; it is not advisable that you do this now, but rather save this information for an emergency. Some things we may have to do in order to survive in times of disaster we cannot do now, but it is still important to have the information. AP ammunition WILL be very important in those times as bad men who wish you or your family harm could very easily be wearing body armor. Easier way to get a hardened Projectile tip. Use hardened nails used for penetrating concrete. Ramset or Ramshot nails. Available at hd or Sears. Come in boxes of 50 or more in .22 and also larger available commercially. 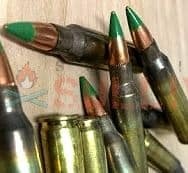 use tungsten welding rod of the largest size that will suit your caliber but make the bullets as light as possible to maintain the highest mv possible..speed is the natural enemy of armor. One problem I see is accuracy. If the inserted steel rod is not in the exact center of the bullet it will throw bullet off balance. With the high speed spinning of the bullet, I would expect accuracy to be very poor. I would also recommend the already hardened steel nails for penetrating concrete. One video on illegal devices was taped , “Outside the Legal Jurisdiction of the USA”. A sample round could be made and accuracy tested. The recording could then be emailed back into the USA. Mexico has strict laws on guns. Perhaps you could rent a boat, make the bullets, and test accuracy all on a boat outside the 12 mile limit. Just bring the recording of testing back. All bullets used in testing so no illegal ammo brought back in. If you need to have a shootout with people wearing vests, things have gone very, very bad! I would suggest leaving the country before it reaches that point. The “Sound of Music” movie is sort of a survivalist film. The entire family fled rather than summit to the Germans. Making AP ammo for yourself is NOT illegal. Federal laws only prohibit manufacturing. As ATF ruled in 2010, manufacturing means making for the purpose of sale or distribution.